Thanks everyone for submitting questions. I got several unique ones and had fun coming up with answers!! from ae: If you had unlimited funds where would you travel and why? Ashley: What are you most anxious about your new role as a military spouse? If you had asked me three months ago, before SoldierMan left, I would have said - EVERYTHING! We'd never been apart before, he always handled the money and major decisions...I pretty much had a cush life, not gonna lie. Since he's been gone, I've learned how to take care of a lot of things myself (though it sometimes still involves calling my dad!) but I've taken over the budgeting and making sure all the family are kept in touch with. And I'm not doing all that bad at it, I must say. Mrs P: if you could spend one day as someone else, who would it be and why? Oh, and how did you get the three columns on your blog??? Hmm...this is a tough one. 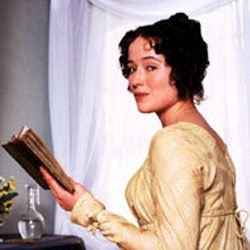 Since it's just one day, I'd like to try being a Jane Autsen heroine, preferably Elizabeth Bennet. Just one day, though. I hot-pink-heart indoor plumbing!! And re: the third column, I did a google search and went through hours of trial and error html formatting one stormy night. :) Sorry I can't be more specific, but it was a long time ago and I don't remember much more than that, and don't know enough about html to locate and email you the specific code. Sorry! Ashley: What did you want to be when you "grow up"? and I love your movie reviews and was wondering who your favorite actor/actress is? When I was a kid, like a little kid, I really, really wanted to be a musical actress. That's all I grew up watching - Sound of Music, Pirates of Penzance, Seven Brides for Seven Brothers, Kiss Me Kate...I could go on and on! When I was in Jr. High I even auditioned for the local Lyric Theater group. I didn't make the first cut, and unfortunately let it get to me, and I dropped it. Even still, I continued to take vocal instruction through college. When I was in condition, I was a Lyric Coloratura. I'd love to take it up again, but I'm really shy of long-term commitments right now. It's hard to pick just one favorite actor or actress. Really, really hard. 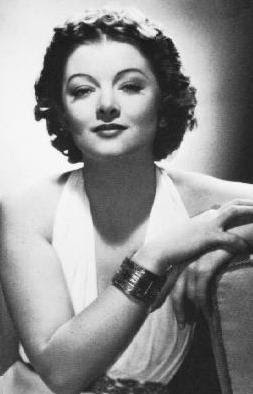 But since I have to pick one, today it's Myrna Loy. She does comedy, drama, big roles, little roles. She did them all beautifully and intelligently, never sacrificing femininity and grace for the illusion of strength. She brought strength and heart to every role she played. Mrs. G.I. Joe: Do you have any plans yet for when SoldierMan comes home? I know he just got there but I used to think about those things to get me through. When do you start planning/thinking about that? Well, the short answer is, SoldierMan isn't coming home. I'm going to him. We spoke the other day, and he classed up on schedule *yay! * and so he will graduate OCS on April 29. The earliest we would get PCS orders would be the week before that. Jessica: 1. If you could pick one moment that really stood out to you during graduation/family day, what would it be? 2. What have you been doing, or what do you plan to do to keep you busy while SoldierMan is away? 3. 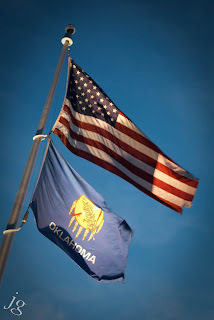 Do you plan on visiting him any while he's at OCS or are you waiting for graduation? 4. Which posts are you hoping you'll get stationed at during your time in the Army? Are there any places you don't want to be stationed at? 1. Well, other than the alone time we got together, one of the most special moments I remember is, at the end of graduation they sang the Army Song ("Over hill, over dale...") and I look over and my grandpa is singing along with them. That might sound weird, but as I said earlier, he's never - ever - talked about his experience in the Army (artillery) other than his buddies all died and it made him deaf (those big guns). But he was there wearing his "Korea Veteran" hat and all smiles. He asked to come. It was really special to both me and my dad. 2. What have I been doing? Everything and nothing. Before New Year's, I had to pack the house and sell the house and change all our stuff from civilian to military and learn how to manage...everything. Since New Year's...well, my #1 goal is not to go insane. I'm trying to keep up my scrapbooking and writing (and I've made progress on both fronts I'm happy to say). And make the most of my time left here. 3. We're going to play it by ear. As of right now, I plan on visiting him, it's just a matter of funds. Plus, if he DOES get infantry, I'll need to go do a little apartment-hunting (any recommendations?) before we actually PCS - or at least, that's what I'd prefer. 4. 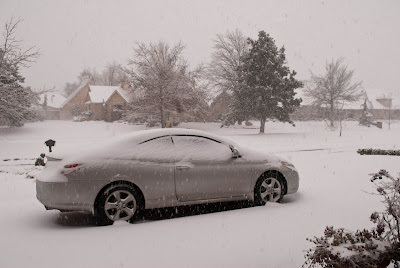 Well, right now, the only place I *don't* want to be is Alaska...only because I'm sick of snow and ice! Unless I get a new car.... :) But on my dream list is Ft. Benning, Vincenza, and Korea (yes, really). So hopefully, eventually we'll get to hit all of those at some point. Ashley: when do y'all plan on starting a family? First of all, let me say it makes me smile to see someone else use "y'all" on a regular basis. :) Sometimes it feels like I'm the only one. So, the family question. After much discussion and back and forth, the plan right now is to wait through our first deployment. I should say, SoldierMan and I have agreed we are going to take this military career one contract at a time. After surviving a deployment, we both feel we'll be better equipped to bring someone else into this life. Now, of course, God may have other things in store, and if that's the case, we'll both be thrilled. But, as far as it depends on us, that's the plan. And I think it'll stick. And I'm headed to Korea in a couple of weeks for a short visit. I am very excited, not just for the glory that is Korean food. I'll let you know how great it is! Loved reading all of your answers!! Happy 200th post! 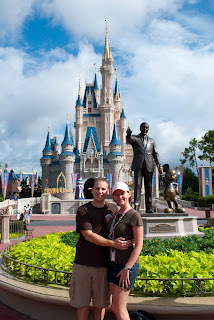 I loved learning a little more about you and soldier man...all the Disney parks in the world sounds like a blast! What a fun post! HAPPY 200TH! I'm curious as to why Korea is one of your top choices. I have heard other woman say they've loved it, but for some reason, that would scare the crap out of me! Enjoyed learning more about you. Congrats on your 200th post! Congrats on 200 -- not an easy accomplishment! great post, happy 200th posting! Hey! I'm at Benning too--also with a newly minted officer. Feel free to email me if you're lonley. And I'd love to go to Korea too, by the way. Who wouldn't love a free trip to Asia?? Those tickets are crazy expensive.